Heartburn is a burning sensation in your chest usually caused by indigestion. It may also be a symptom of ischemic heart disease. If heartburn occurs soon after eating food or when you lie down or bend over, it is likely to be because of gastric acid flowing back to your food pipe (esophagus). 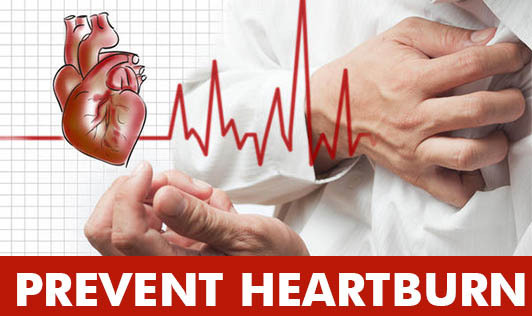 If you are suffering from heartburn, do visit your doctor at the earliest. Avoid large gaps between meals. Do not starve or go on crash diets. Drink lots of fluids like water, coconut water, buttermilk, fresh fruit juice, etc. Do not take carbonated beverages. Keep track of what foods increase or cause burning sensation, and limit or avoid those foods till you are completely healed. What causes heartburn for another person might not cause heartburn for you. So don't follow another person's routine blindly.